Lent is observed all over the world in traditional ways. It is our tradition to give up non-vegetarian food for the period of 50 days. 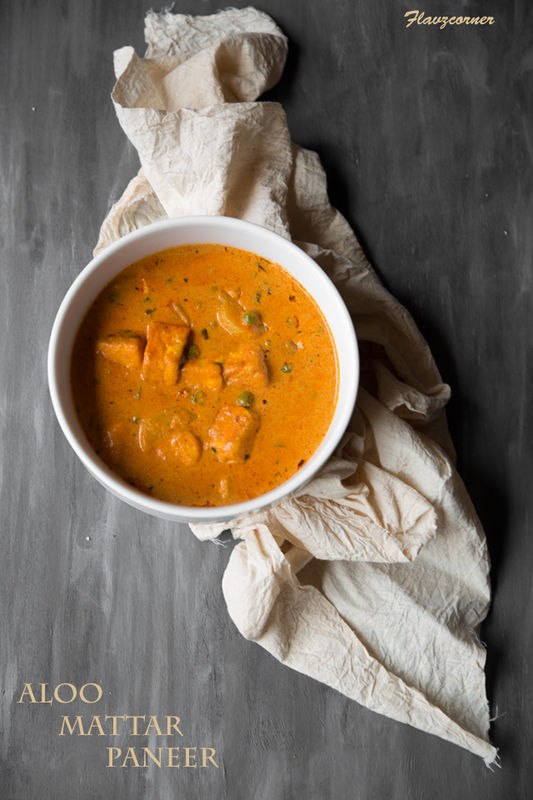 During the lent period, I rely on an array of recipes those are mostly Indian, which has a vast variety of dishes and curries that can be merely prepared with vegetables and dairy products. Homemade panner made out of 4 cups of whole milk + 3 tbsp of lime juice. Drained; kneaded with salt for 5-8 minutes to get soft seasoned paneer. If you ever had been to an Indian restaurant, you might have ordered this savory curry that comes with steamed rice and Indian flat bread called Naan. 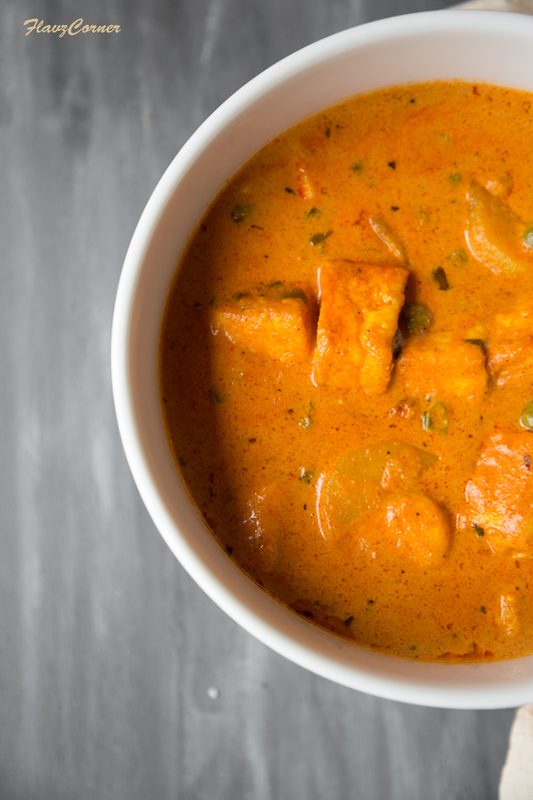 The combination of 'Mattar Paneer' and 'Naan' is well know among Indian restaurant diners. Shallow fried Cottage Cheese and green peas are prepared in a slight spicy sauce. You can also add potato to the dish. Whenever I prepare this dish the aroma of the light spicy dish fills up the air which takes me back to my childhood days, when we used to visit the city in my Dad's scooter and we dine out at our favorite restaurant where these authenticate Punjabi food were served. Nathan, our older son is very picky when it comes to green peas. But when the green peas are cooked in the spicy sauce, it takes the flavor of green peas away and he loves the curry with Indian flat bread Chapati. I am pretty sure you are now scrolling down for the recipe. Here it is!!! 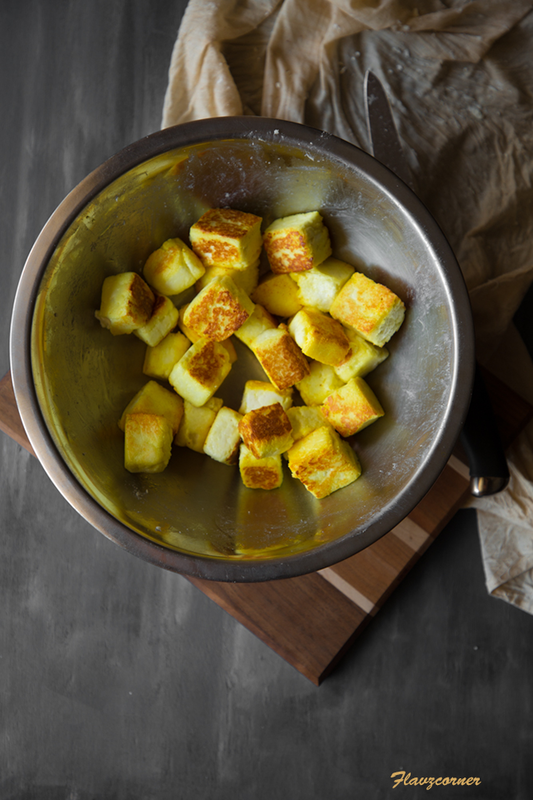 Take a non-stick or cast iron pan and add 2 tsp of oil and shallow fry the cubed cheese/paneer till they are light golden brown. Transfer them to a plate lined with paper towel to remove excess oil if any. In the same pan add 2 tsp of oil and cook the garlic, ginger and onions till it is light brown. Add a pinch of salt to make this process go fast. Transfer the cooked garlic, ginger and onion mix to a blender (use the small jar). Add 10 raw cashew nuts to the mix and blend it into a smooth paste by adding 1/4 cup water. Take a deep pan and add 2 tsp of oil and splutter the mustard on low heat. Add the cubed potatoes, turmeric and salt to the pan and cook it for 5 minutes. Flip the potatoes and add the coriander powder, chili powder, kashmiri/paprika powder, garam masala and cook till the raw smell it gone. Add the chopped tomatoes, green chili and cook for 5 - 6 minutes till the tomatoes are soft. Next add the garlic, ginger, onion and cashew paste to it and cook for another five minutes. Add the shallow fried cheese cubes and 2 cups of water and cook over medium heat for 10 - 15 minutes or till the gravy becomes slightly thick and the potatoes are cooked. Now add the dry fenugreek leaves by slightly rubbing them between your hands to bring out the flavor, followed by tomato paste and 1/4 cup of fresh/frozen green peas. Adjust the salt. If the gravy is too thick, add some water to loosen it. Cover and cook for 5 - 6 minutes. Add the cilantro/coriander leaves and gently fold in the cream or sour cream and cook for 2 more minutes and remove from heat. Let it sit for 10 - 15 minutes covered till are the flavors are infused into the cheese and vegetables. 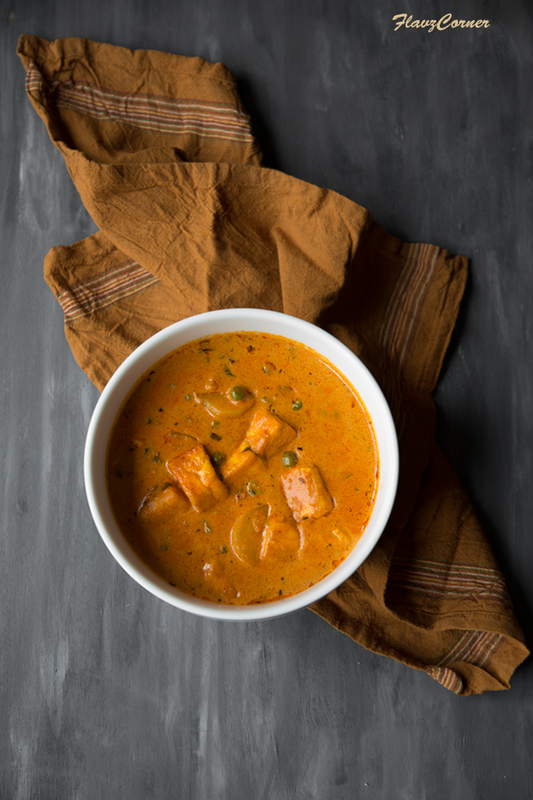 The flavorful 'Aloo Mattar Paneer' is ready to be served with some freshly made Naan or Chapati or steamed white rice. If you don't have cream or sour cream, use 1/4 cup of plain yogurt. The dry fenugreek leaves gives the dish the unique flavor, so don't skip this ingredient. You can get the dry fenugreek leaves from any Indian store. They are also called 'Methi' leaves. Lovely pictures - extremely nice lighting. And lovely recipe, too! 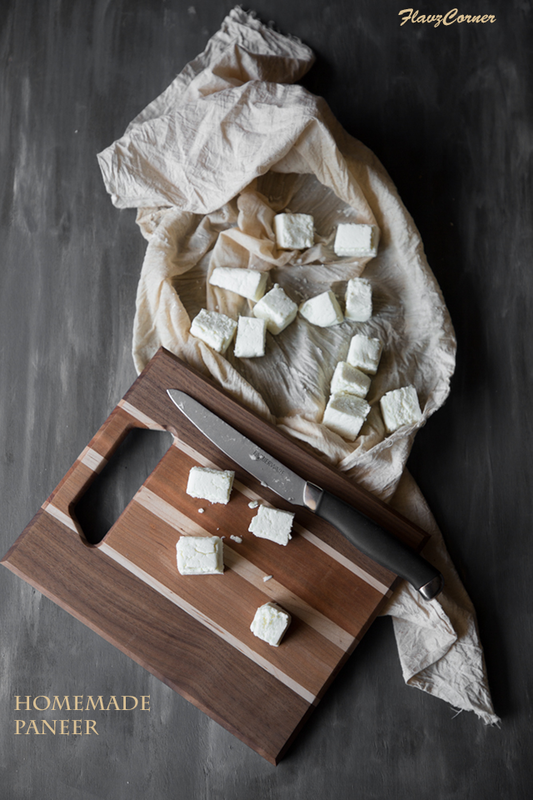 I thoroughly enjoy paneer cheese, and like virtually any kind of Indian dish. Good stuff - thanks so much. i am totally bookmarking this to make the first chance i get coz matar paneer is one of my favorite indian dishes! i have never tried adding sour cream to Indian curries. Now that you mention it, I am thinking why not? Thanks for the idea Shibi.